omg! that is not ok! after the protein did you follow up with a moisturizing conditioner? that might have gotten the some of the knotting out. wow...sorry to hear this happened. we already spoke about the hair. I don't have any added suggestions besides keeping your scalp clean and using those oils that stimulate hair growth, but your regimine seems like it will be effective. yah, your regi sounds like it can't be improved on. very solid. i am so sorry that happened to you though. like anithesis, i'm also wondering if you followed up the protein with a good deep condition with heat. all i can think of is, through out the week, try only co-washing after one good clarifying wash just to get any protein residue out. load up on the condish and see if you can work out some of the knots. right now i am using herbal essences long term relationship condish after reading about it and IT IS AMAZING. not only does my jilbere comb slide through y undergrowth like butter, it must also have some stretching qualities because my undergrowth feels less like carpet after using it. not to mention my hair stays soft post-drying. try that and hopefully it works. and if it all fails, nothing can break down knots like a perm. lol. 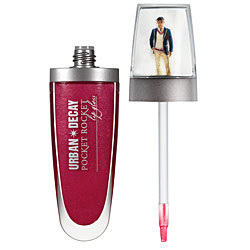 ps: the urban decay men ploy is the wackness.